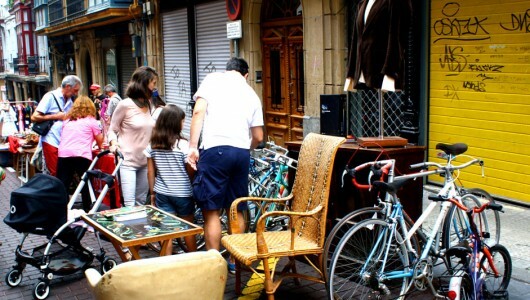 WE ARE NOT TALKING ABOUT THE GRAN VÍA, BUT ONE MUCH MORE IMPORTANT AND WITH MORE HISTORY. THE RESPONSIBLE FOR TODAY’S BILBAO. LET’S SEE BILBAO FROM THE NERVIÓN ESTUARY. A tour that will unveil the past and present of Greater Bilbao, its industrial past still visible in the Zorrozaurre and Zorroza areas, the still active Sestao and Santurtzi shipyards, contrasting with real works of art designed by world-class architects such as Frank Gehry’s Guggenheim Museum or Santiago Calatrava and Pedro Arrupe’s bridges. 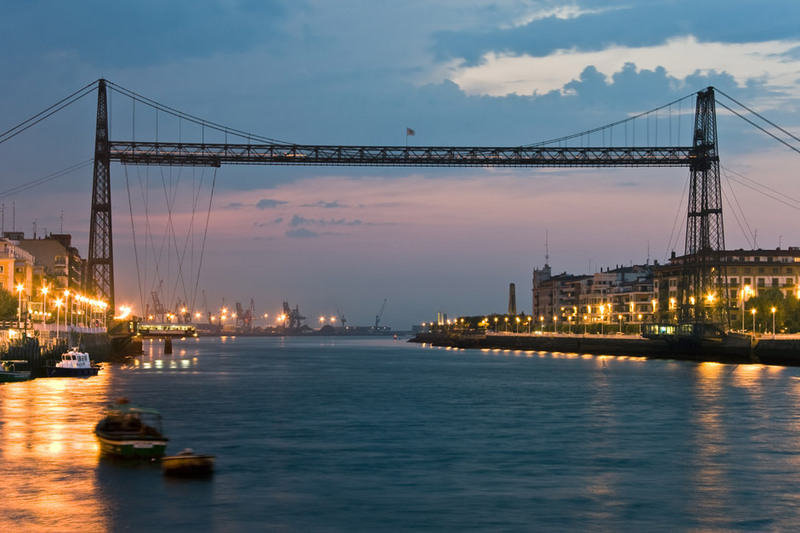 Heading towards its mouth, the Abra, we will cross the most illustrious bridge in all Euskadi: the Vizcaya Bridge or transporter bridge (puente colgante for the locals), declared World Heritage Site by the UNESCO. The bridge is a genuine work of engineering, similar to the Eiffel Tower, evidence of the past and industrial power of the Greater Bilbao area. We recommend visiting the Vizcaya Bridge, getting into its metallic structure in order to get to the pedestrian walkway at 40 meters high. From this point, the view of both margins of the estuary and the Nervión’s mouth is quite breathtaking. The tour continues up to Santurtzi, a traditional fishing village, famous for its sardineras, the women who used to clean and sell the sardines in the market. Finally, the promenade from Santurtzi to Portugalete where the Agurtza is. The Agurtza is one of the last remaining wooden fishing vessels on our coast and has been converted into the Fishing Interpretation Centre. There are several possibilities to do this tour. For the Bilbao area it is possible to rent canoes www.bilbobentura.com or padelboard www.bwaters.org, although this option is not recommended in winter or rainy days. However, to do the whole tour until Santurtzi, the best thing would be to take a boat in the Pio Baroja pier www.bilboats.com .